Thinking of advertising on Facebook but not knowing where to begin? Wanna promote your online store using Facebook ads but you have no relevant experience? 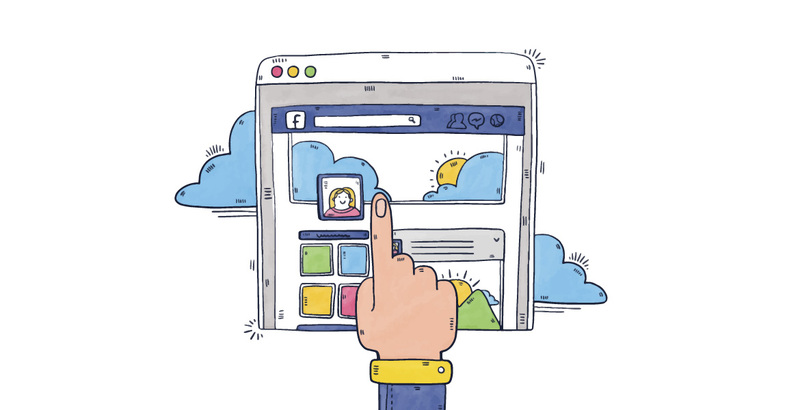 This guide explores how advertising on Facebook can benefit your eCommerce store, as well as provides a definitive guide to launch a Facebook ad that actually converts. 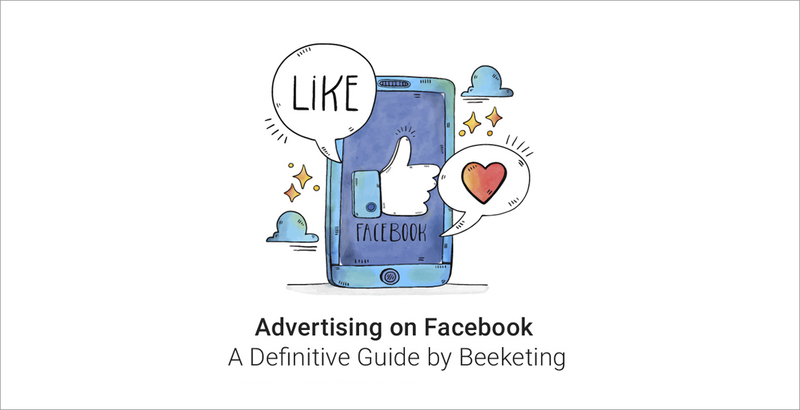 Chapter 1: An Introduction to Facebook Ads: Why Advertising on Facebook works and 4 prerequisite steps to get started with ads. 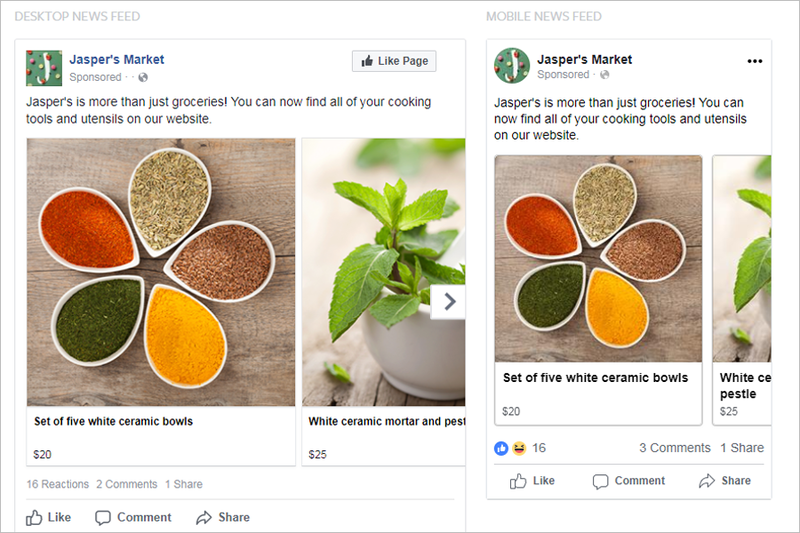 Chapter 2: How to Run Facebook Ads that actually convert: A step-by-step guide on how to get set up with different types of Facebook ads. Facebook’s staggering 1.32 billion average daily active users makes it the unprecedented most popular social media. 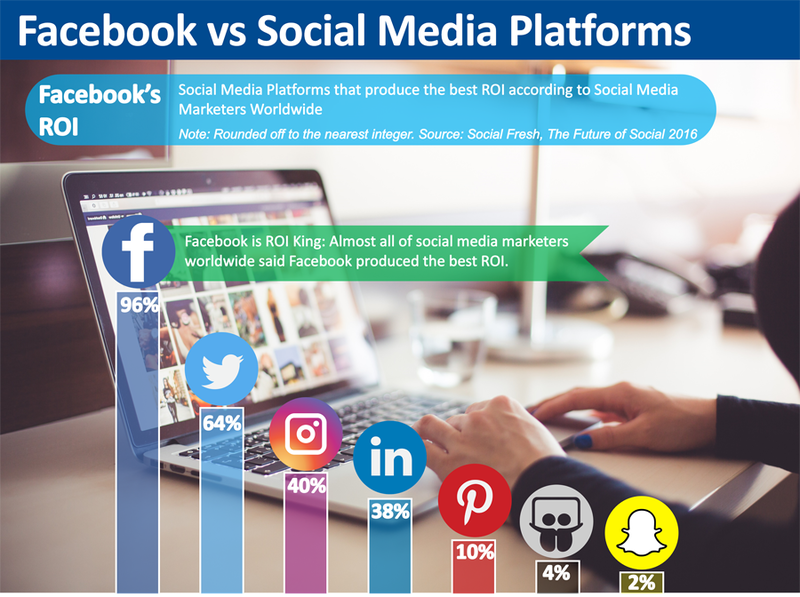 Its enormous popularity is a hub of rich audience activities which makes it the top-most social media platform with best ROI according to seasoned and successful social media advertisers. Advertising on Facebook also offers eCommerce businesses with many opportunities for traffic and sales. 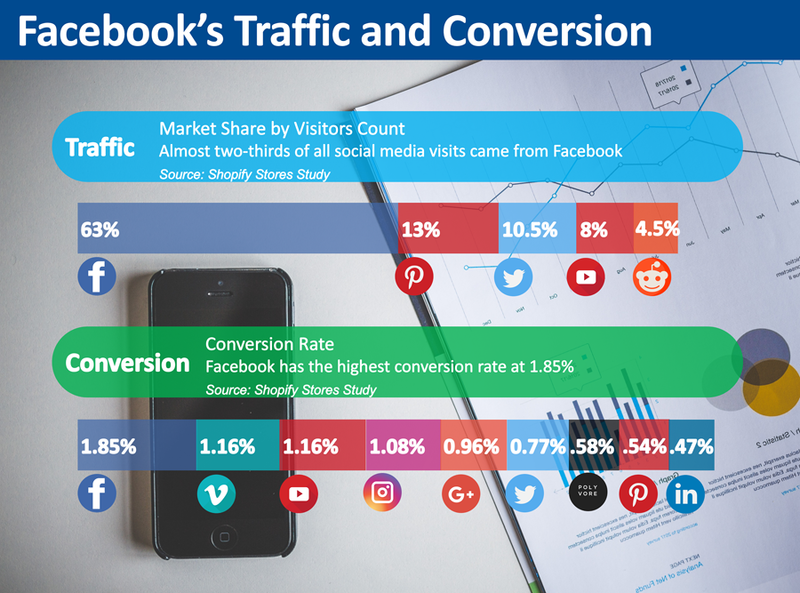 In a study exploring the effectiveness of social media for Shopify stores, Facebook dominated as a source of social traffic (63%) and with the highest conversion rate (1.85%). 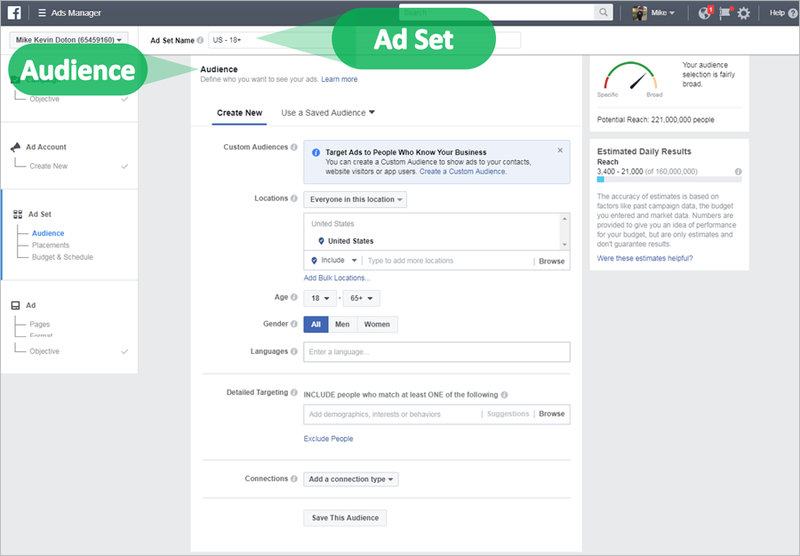 Originally, there are two platforms to run advertising on Facebook: the Ads Manager (Basic) and the Power Editor (Advanced). Several guides and even Facebook still mention both tools and this is a good time to orient you about the recent change. 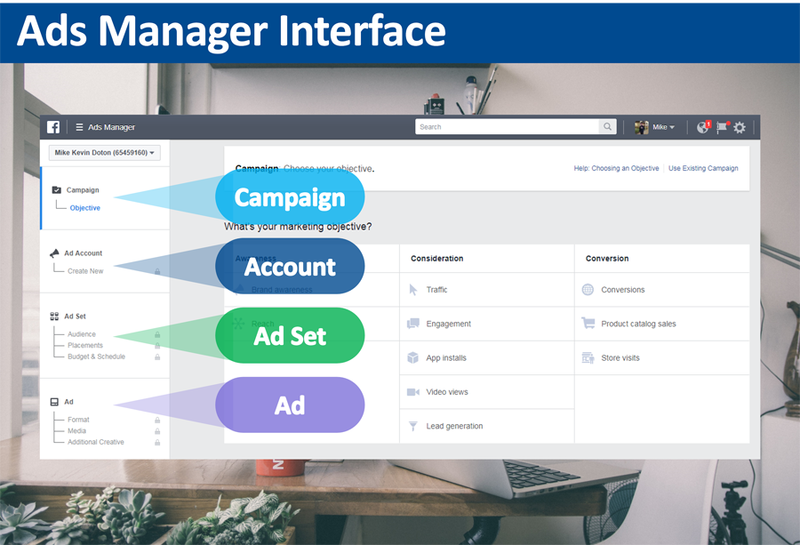 This September 2017, Facebook announced that Ads Manager and Power Editor have been combined into a single platform called as “Ads Manager.” This makes Facebook ads creation and management a lot easier for businesses. For those who are currently using Power Editor, there won’t be any changes on the functionalities except for the new name. For those who are using Ads Manager, you will see that some new features have been added. 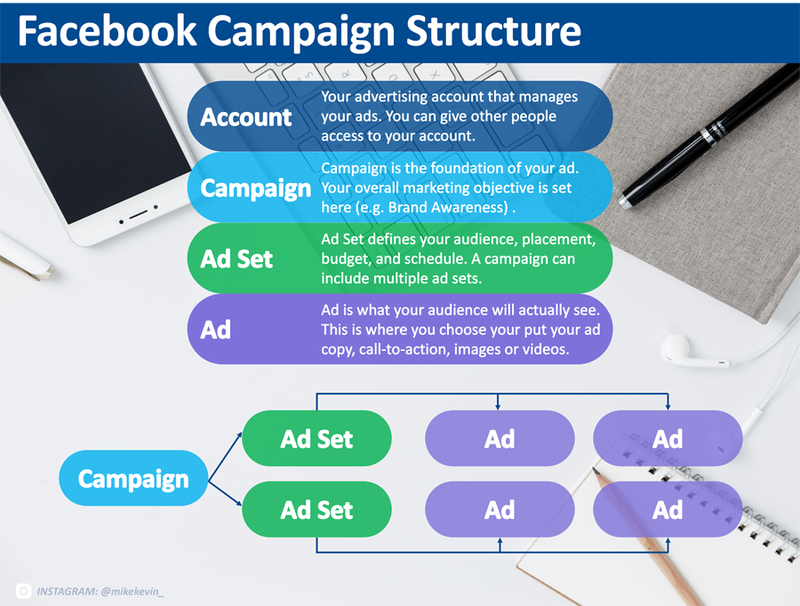 Before you can even start setting up your Facebook ad, understanding and familiarizing how ad campaigns are structured will ease you all throughout the process. 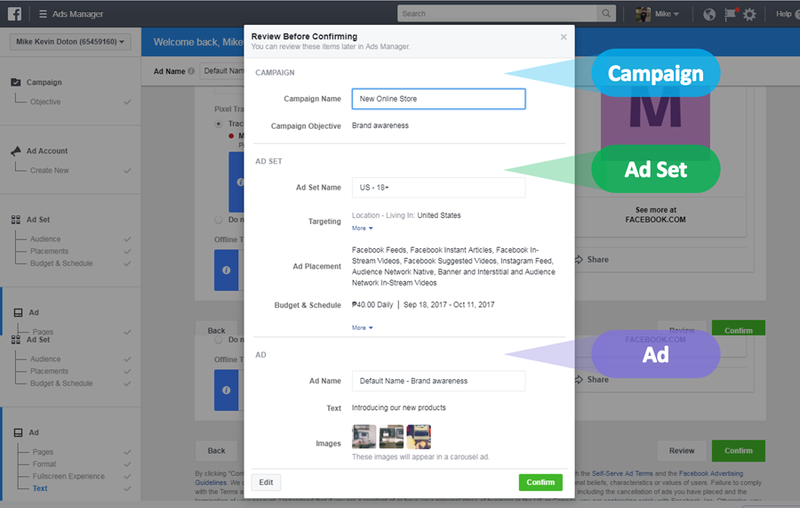 The campaign structure helps you gain insights as to how your ads will actually run on Facebook. To visually orient you, here’s how the Ads Manager interface looks like with the campaign structure we’ve talked about above. We assume you already setup your Facebook business page, else you can not proceed with the rest of the steps. If yes, you can head straight to Facebook Ads Manager and create your Facebook ad. This step is very fundamental for your campaign. This is defining what you want to achieve and creating your account that will manage all your ads. Basically, in the campaign structure, you will be dealing with Campaign and Account. Any marketing campaign starts with an objective. The campaign objective basically answers why you want to run an advertising on Facebook in the first place. Your objective must be able to tell you the action of people when they see your Facebook ads. Awareness: Increase familiarity and interest over a product, service or business. Consideration: Get people to start evaluating your offers if they match their needs and wants. Conversion: Motivate people to purchase your solutions or take valuable actions for your business. Brand Awareness: Increase people’s recognition of the availability and existence of your product, service or brand. Reach: Expose your ad to as many people as possible to your target audience. Traffic: Drive people to visit your website or use your app. App Installs: Encourage people to download your app. Engagement: Heighten your post’s exposure to a large audience to increase likes, comments, shares, photo views, offer claims or event responses. Video Views: Showcase your video to a wide audience to raise awareness around your brand. Lead Generation: Gather new prospects for your business by getting lead information such as email addresses. 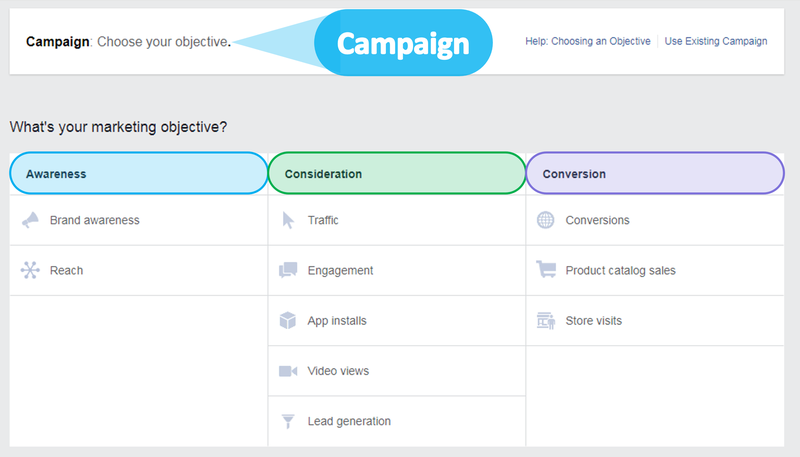 Conversions: Drive valuable actions like website conversion and app engagement. Store Visits: Drive customers to visit your physical stores. After choosing your campaign objective, you will need to set up your advertising account. Setting up your account allows you to set permission to other people before you can proceed with your ad sets and ads. Make sure to select the correct currency and time zone as they will also be used in your future billing and reporting. Learn more about Ad Accounts and Permissions. The first requirement of the Ad Set is for you to identify the type of people whom you want to serve your ads to. Again, even though Facebook has a massive audience, you cannot just show your ads to everybody. Each campaign objective has a very specific target audience. This means that your target audience will depend heavily on what your advertising goal is. The more specific your target audience is, the more effective your campaign will be. 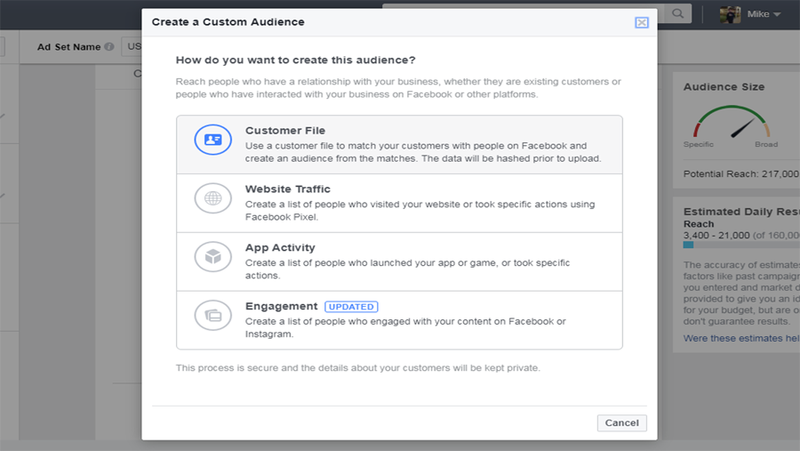 You can create a Custom Audience based on the people who already have interactions with your online store, whether it’s inside or outside of Facebook. a. Customer File – If you have a list of your customer’s email addresses, phone numbers, or newsletter subscribers, you can import the hashed customer list to Facebook. Then, the hashed data will be matched to the people on Facebook. b. Website Traffic – You can remarket to your website visitors using Facebook Pixel. It helps you create a Custom Audience based on the people who visited your website. c. App Activity – If you have a mobile app, you can use your app users as your Custom Audience. d. Engagement – You can create a Custom Audience based on the people who have previously interacted with your content on Facebook or Instagram. Detailed targeting is very flexible to use. You just need to fill out two general actions: Include or Exclude people. A millennial who is not a photographer and doesn’t have an interest in shopping and fashion would be in your audience. Otherwise, if you want your audience to fall under all your criteria, you need to use the ‘Narrow Down’ feature. Again, it will only match at least one of your criteria. You need to use the ‘Narrow Further’ to filter your audience more. You can click here to follow the step-by-step guide to create a lookalike audience. 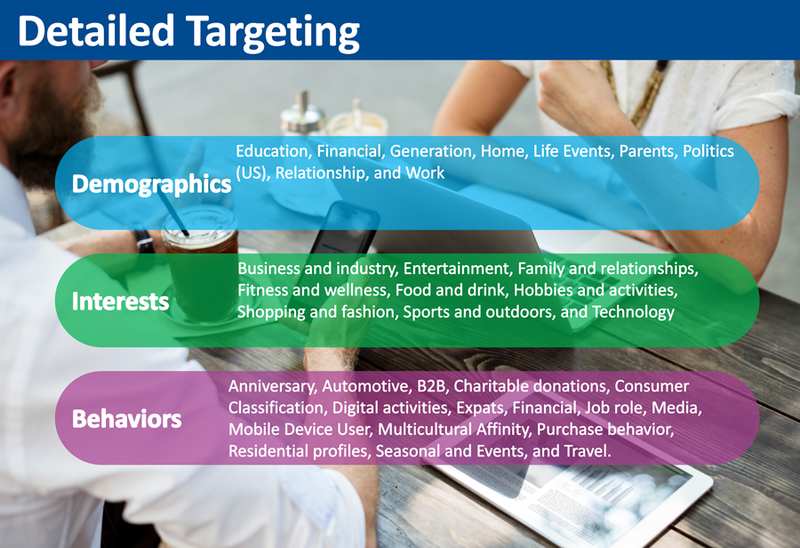 Targeting: Are you targeting the right audience? 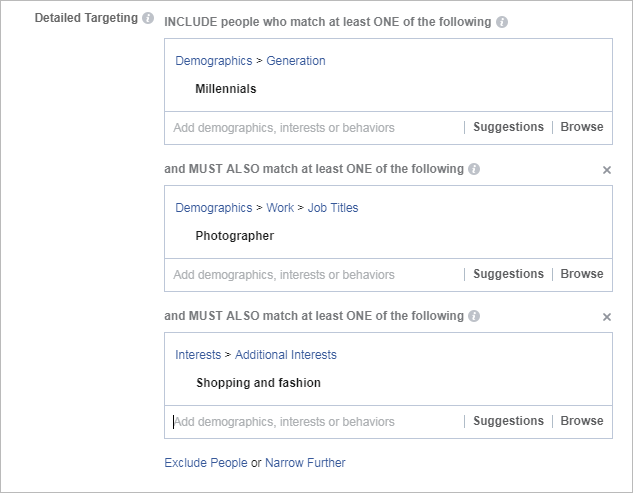 “One of the main ingredients to a successful Facebook advertising is better targeting techniques and you can optimize your ad targeting by understanding the profile of your target audience, especially how they think and behave. The more customer insights you uncover, the better equipped you are to convey meaningful messages to your audience.” – said Souvik Banerjee, the Project & Business Development Manager at RS Web Solutions. 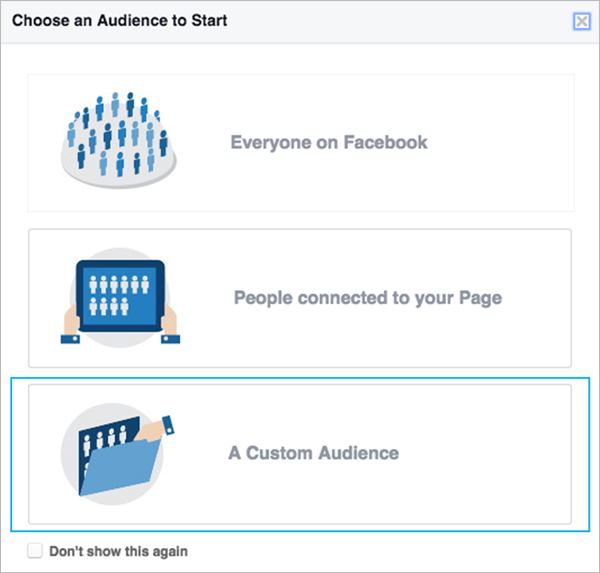 A Custom Audience: your existing customers which we have discussed earlier in the Custom Audience Targeting section. For better analysis, we recommend that you start with your existing customers. If you have a list of newsletter subscribers or all of your customers who’ve purchased from your store, upload them using the Custom Audience feature of the Ads Manager (steps can be found in the Custom Audience Targeting). Once completed, you are ready to use Audience Insights. When you first open Audience Insights, you will be prompted to select your audience source. For this case, select ‘A Custom Audience’. a. Demographics: Age and gender, lifestyle, relationship status, education level, and job title. b. Page Likes: Top page categories they like, and the Facebook pages they like. d. Activity: The frequency of your audience actions such as pages liked, comments, posts liked, promotions redeemed, and ads clicked. The devices they are using to log on. e. Household: Household income, home ownership, household size, home market value, and spending methods. f. Purchase: Retail spending, online purchases, purchase behavior, and automotive purchases. The Audience Insights tool is so powerful that it directs you to the types of audience you need to start targeting. It will help you identify your buyer persona which is a representation of your ideal customer based on the analysis of your existing customers. You can also craft better content marketing ideas based on their behavior and profile. Say, for example, all of my existing customers are women between the ages of 18-24 and have been liking Office Supplies and Health/Beauty pages. Based on these audience insights, I can tweak my ad design to a more feminine tone. If I am a multi-product category online store, I can display ads of my office supplies and health/beauty products. The insights will be your tool to open endless possibilities to craft a better targeted Facebook ads. Audience Size: Do you have enough audience for your campaign? Generally speaking, there’s no recommended number of people per ad. The quality of your audience is more significant compared to your audience size. You should consider your campaign objective to determine if you have enough audience as your audience size will follow your overall goal. 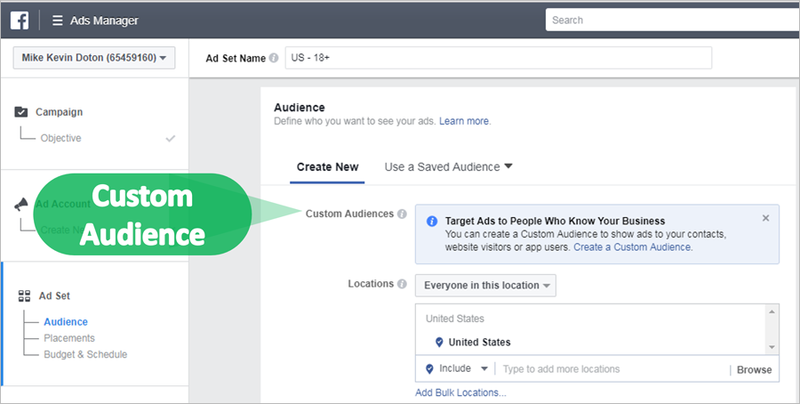 But, you can check the ‘Audience Size’ on the right-hand corner of your Ads Manager to check if you have a broad or specific audience. As much as possible, you want to be highly targeted. After dealing with the right audience to target, Chapter 2 will help you define your placements, budget, and schedule. 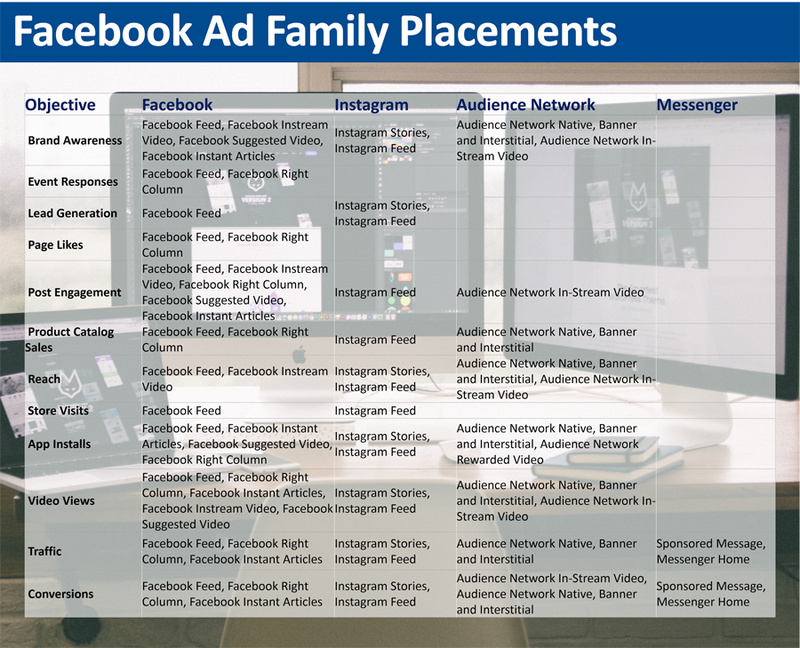 Advertising on Facebook allows you to choose two placement options: Automatic Placements and Manual Placements. 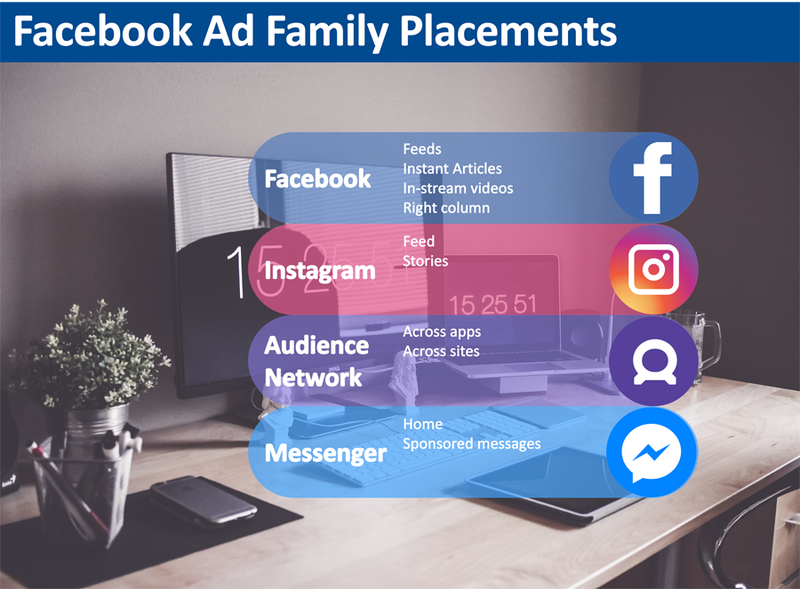 Placements automatically created by Facebook have been calculated to find the most relevant audience and less expensive results available across all other placements. 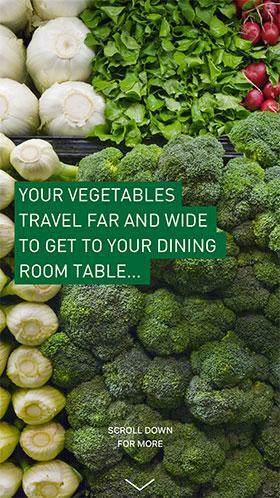 We recommend this if you want to make the most of your budget. Automatic placements have optimized the delivery of Facebook ads to get the most cost efficient result. Learn more about how Facebook calculates Automatic Placements. For more savvy advertisers, you can manually edit your placements with the ‘Edit Placements’ option. This will allow you to control which device type (Mobile Only, Desktop Only, All Devices) your ads will be shown. You can also remove a specific platform of your choosing. 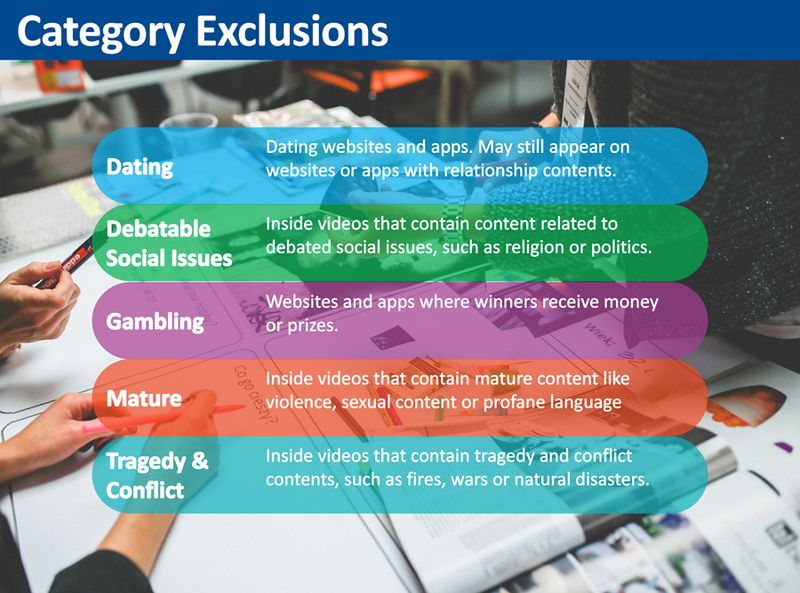 Take note, however, that there are automatically ineligible platforms depending on your campaign objective. For example, brand awareness can not be run on Messenger. Specific Mobile Devices and Operating Systems: Android Only, iOS Only, All Mobile Devices. 3. Block Lists: Through Business Manager you can block your ads from running on the below categories. Learn How to Create Block Lists. In this part, you will be prompted to set your budget, either daily or lifetime, and whether you will run your ad as early as today continuously or set a specific start and end date. We recommend that you start with the lowest amount possible. This will allow you to have more time to analyze and test your Facebook ad. The Ads Manager will automatically show how much money you will need to spend for the duration of your ads. An advanced option of the Ad Set is the bidding process which allows you to optimize the delivery of your Facebook Ads. Ad Name: It will help you identify in reporting, insights, tips, and notifications. 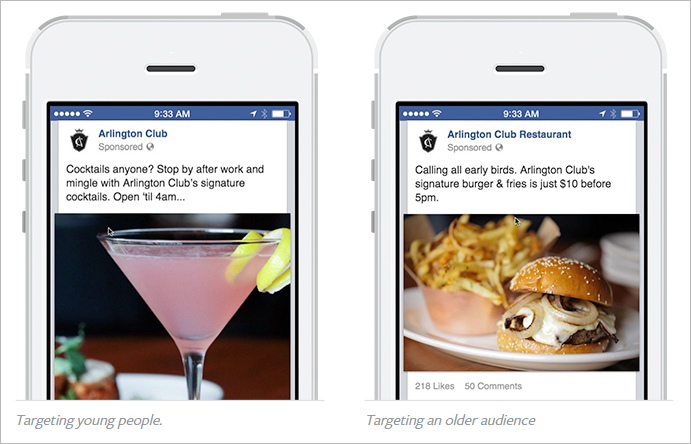 Pages: Represent your ad by selecting your Facebook Page or Instagram account. This section helps you on how you want to visually tell your ad. 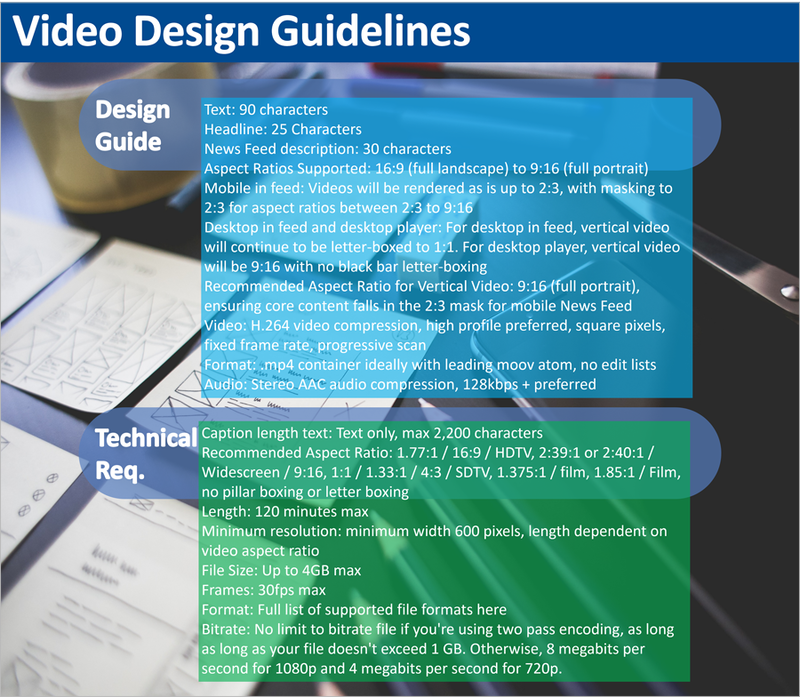 You can use video, photo, text or a mix of those elements by determining the ad format. Of course, the ad format will be aligned to your marketing objective. 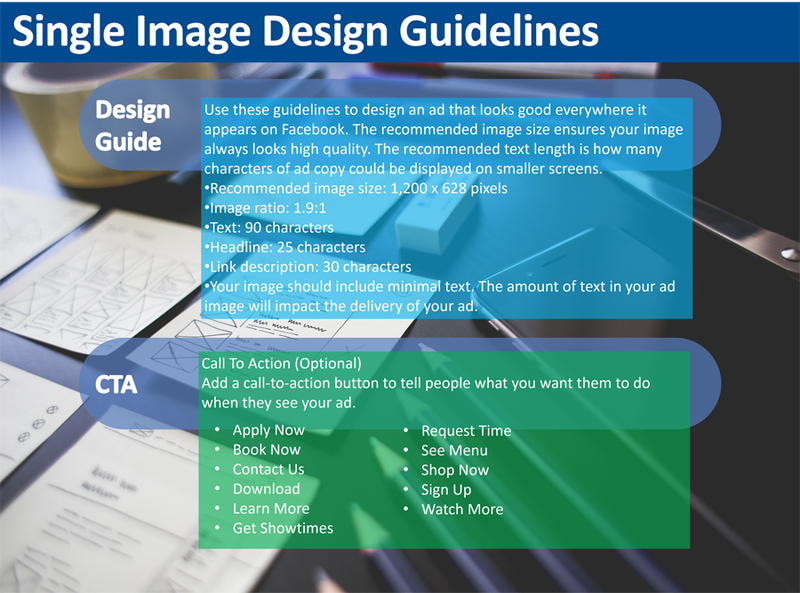 Single Image: Display beautiful photos to tell the story about your ads. Recommended image specifications will be displayed by the Ads Manager. 2. Video: Use sight, sound, and motion to convey your message. 3. 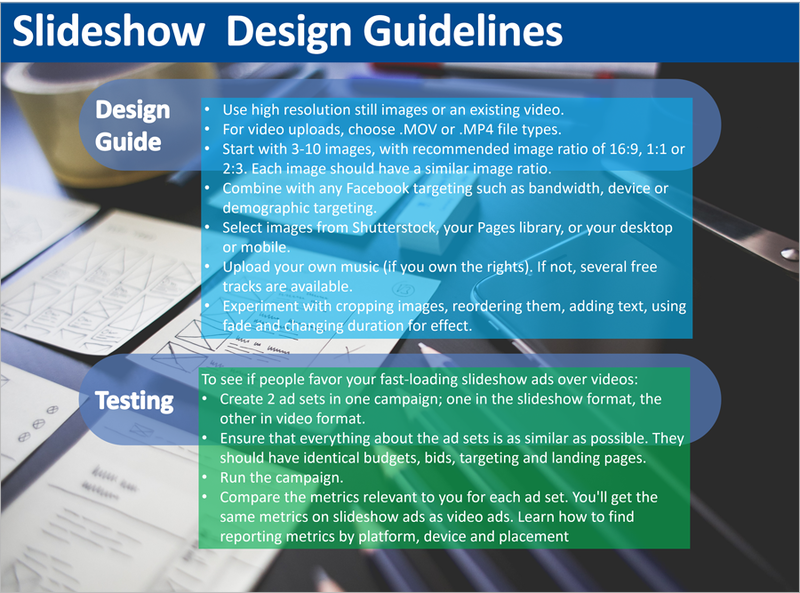 Slideshow: A faster alternative to video advert, build a lightweight video ad. 4. Carousel: In a single ad, show multiple images or videos. 5. Collection: Showcase a collection of your products in a single ad. Learn more about collection adverts. 6. Canvas: Optionally, you can choose Canvas for a full screen and fast-loading experience designed for mobile, and add them to any of the advert formats above. Below is how you’ll choose the format in the Ads Manager. Again, some ad format will only be available depending on your chosen objective. Since we chose ‘Brand Awareness’ earlier, only four formats are available. Your ad’s text is a very crucial part to launch a successful advertising on Facebook. Your images must be coupled with the right copy in order to motivate your audience to take an action. Below are critical points in a brand awareness campaign using a carousel ad. The ad preview on the right side of the Ads Manager interface allows you to check how your ad will look like on different feeds and devices. Advanced options on the ad section will allow you to do Pixel Tracking and Offline Tracking. Before hitting the ‘Confirm’ button, we always suggest clicking on the ‘Review’ button to track any changes you’ve made and foolproof your campaign. This will prompt you to review the vital aspects of the campaign structure: Campaign, Ad Set, and Ad. 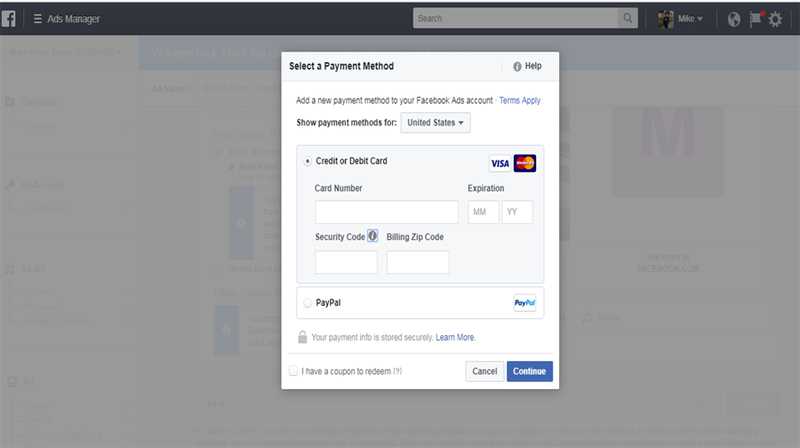 If it’s your first time to run a Facebook advertising, you will be asked to add a new payment method attached to your Facebook Ads account. Choose between Credit/Debit Card or Paypal account. 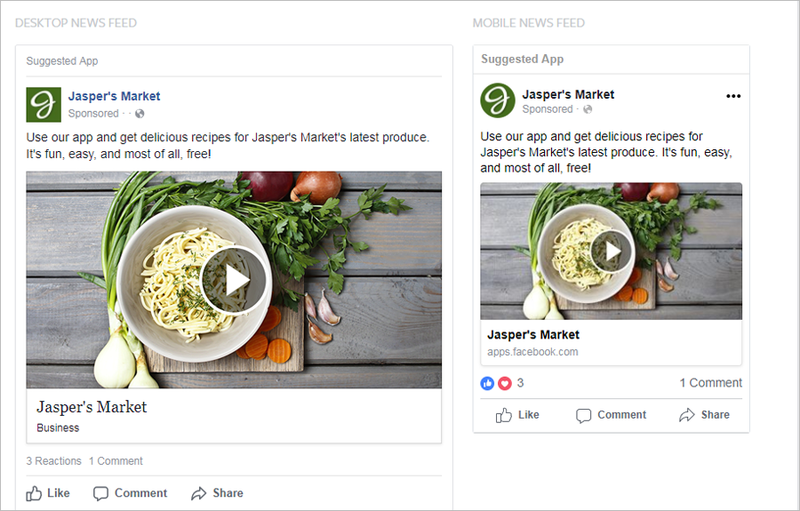 Once completed, your first advertising on Facebook is up and running! In some instances, you may need to wait for sometime before your ad is approved. Once your ad is approved, it will display as “Active”. A/B testing, a.k.a. split testing, helps eCommerce owners to understand how different advertising aspects impact the overall campaign result and performance. By setting up an A/B test, you can evaluate different versions of a campaign ad and see what aspects work best and improve your future campaigns. You can create a split test using Ads Manager by following this step-by-step instruction. Marketing objectives: Your marketing objective will lead you to the right data that you need. For example, if you want to see how far your ad has reached, you can use impressions or reach to determine the ad’s performance. Ad formats: To show more information based on your ad format, you can personalize columns and use breakdowns. For instance, if you’ve used a carousel ad, you can choose Breakdowns > Carousel Card to see actions taken on every card. Targeting and audience information: You can also utilize breakdowns to understand how a certain demographic interacting with your ad. For example, if you select Age, your results will be shown based on the different age ranges. Once you have customized your data, you can follow these reporting instructions. While your test campaigns are still running, do not make any changes or optimizations. Preferably, any modification must only be done to solve issues. If you introduce a change to a running campaign, results will become meaningless. Your analysis should be focused on the key metrics you’ve set when you created your A/B test design and hypothesis. The Ads Manager’s Split Testing feature will prove with your winning test result when the test is over. To understand about your A/B test result, here’s how the winning test is determined and how to interpret your results. If it doesn’t, cancel it right away. To kill the ad that doesn’t add value, follow the steps here. 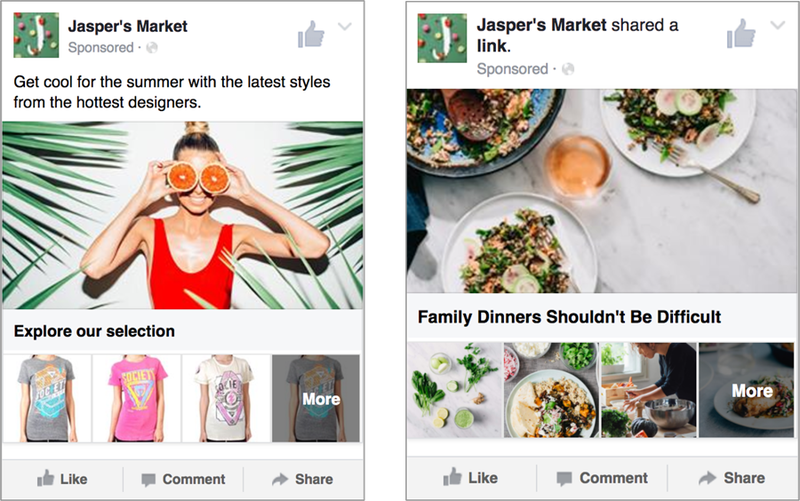 Advertising on Facebook allows you to display separate ad sets for specific audiences. This means that if you have two heterogeneous audiences, you can create a distinct ad catered to their profile. By doing so, your targeting is better and smarter. 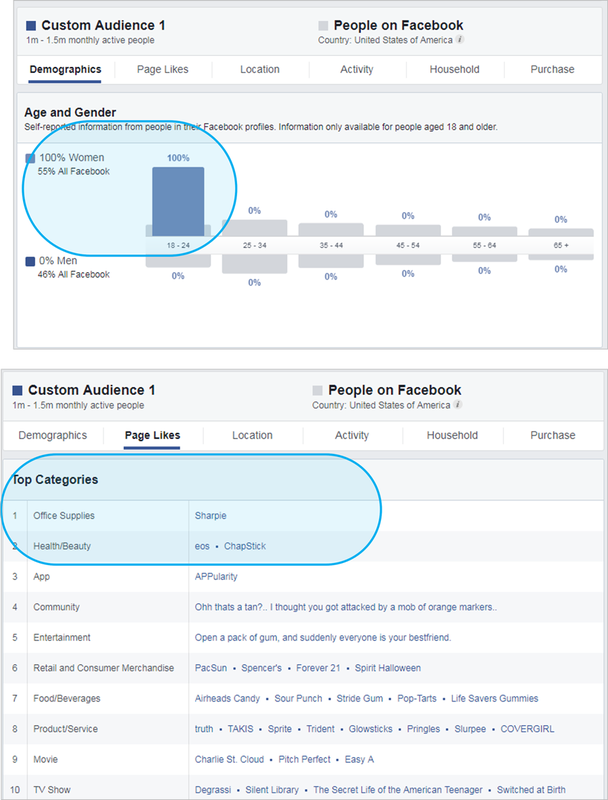 The above example illustrates how two unique audiences received different Facebook ads. The ad copy and the photo are both modified to set the unique traits of the two audiences. Facebook helps eCommerce stores to reach a large audience. To make the most of the richness of Facebook audience, you need to make sure that you are driving your audience toward an action. Your Facebook ads must include a landing page for your products or a direct link to your website. 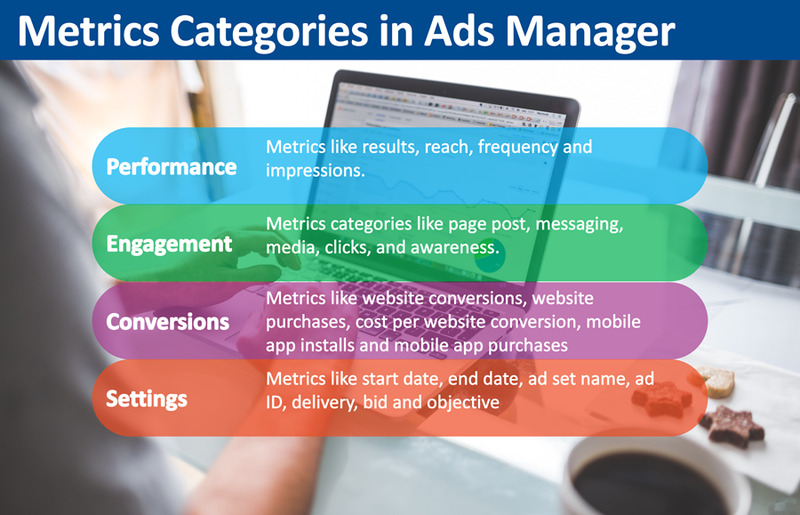 A bid represents what you’d be willing to spend in order to optimize your ad delivery. A bidding strategy helps you control the cost per result the same way budgets caps your spending on an ad set. You can automatically or manually bid for your ad sets. If decided to bid manually, it’s a best practice to set your bid at the maximum amount that you’d be willing to pay for the result your advert set is optimised for. For example, if your goal is increasing website clicks and you have a budget of $2 for one, then bid $2. Lower bids may lessen the number of people who see your ads in your target audience. Increase your bid amount if you’re not getting a significant result. Facebook isn’t just a social network for personal use anymore. It is a powerful and versatile marketing platform for online stores to reach new customers and keep existing customers engaged. In fact, Facebook is the leading global social influencer to consumer purchase. With so much to gain, eCommerce businesses must start advertising on Facebook as soon as possible to stay relevant to their target audience and out-perform competitors. 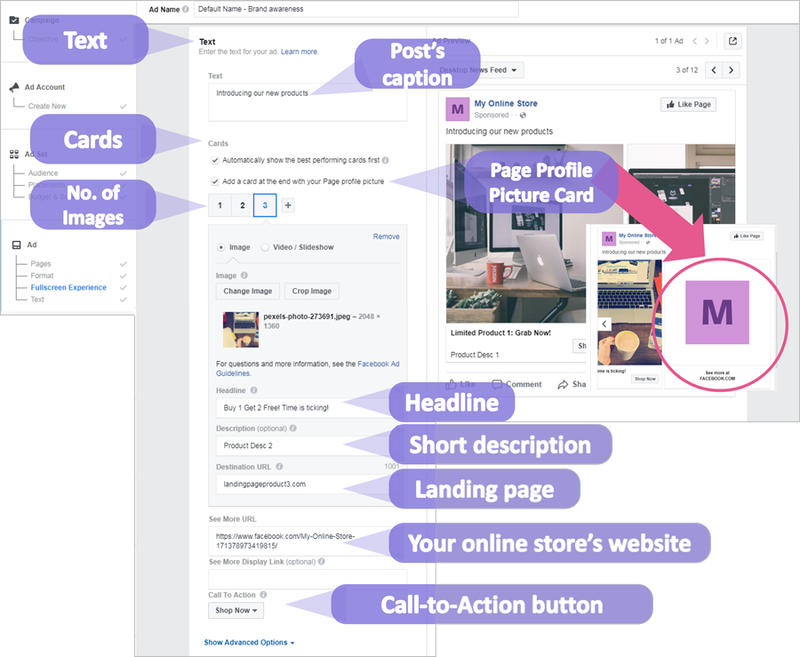 Following our step-by-step guide, you can run your first Facebook ad today, reach your customers, and convert them successfully. This is a really helpful tutorial–thanks a lot for this good read! Online shops are really missing out on a lot of sales if they don’t advertise on Facebook. 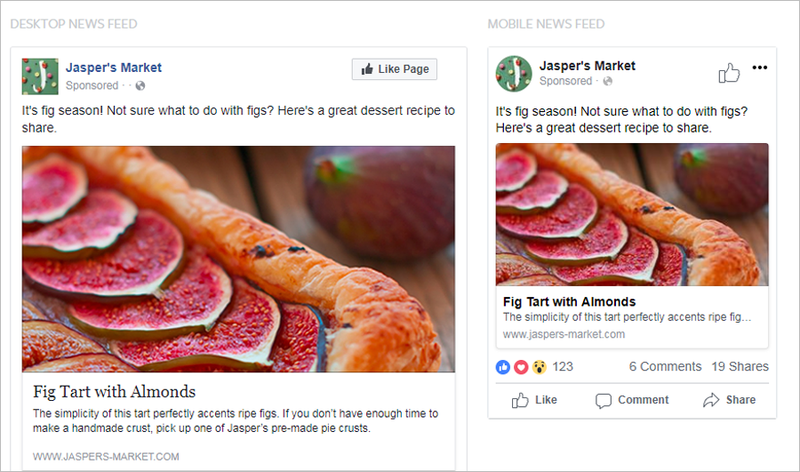 The targeting feature can help you reach out to the right people and display he ads that are relevant to their interests. They’re also missing out on a ton of useful data they can gather from the ad campaign. Without this data, they won’t be able to advertise better, and therefore get more people to buy from their e-commerce store. Of course, data plays an important role in advertising on Facebook. In my opinion, data is the most valuable thing after testing ads. Thanks for your opinions! Very informative and great post for beginner who wants to run their FB ads. Thank for your words, Hardik! Don’t forget to subscribe Beeketing Blog to get the latest news.